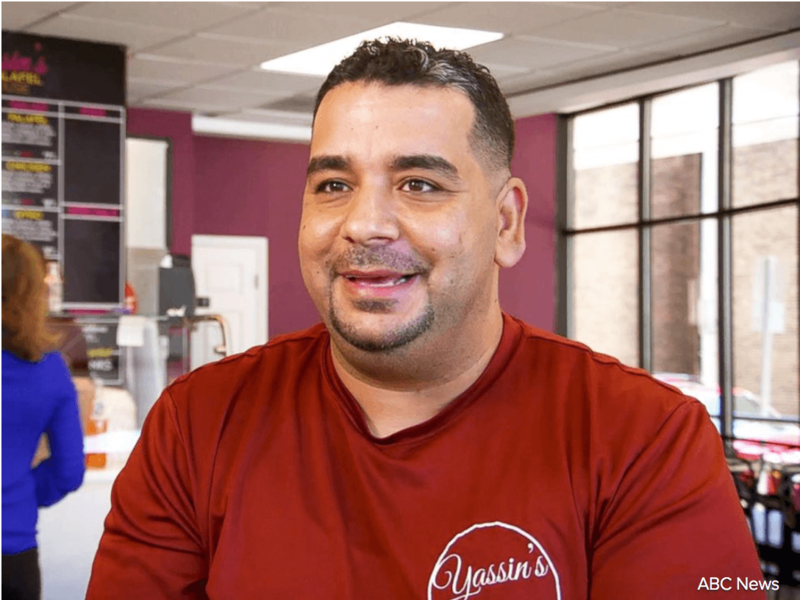 Owner of two extremely popular falafel restaurants in Tennessee, Yassin Terou, a Syrian refugee, just won the award "Nicest Place in America," for one of his restaurants. 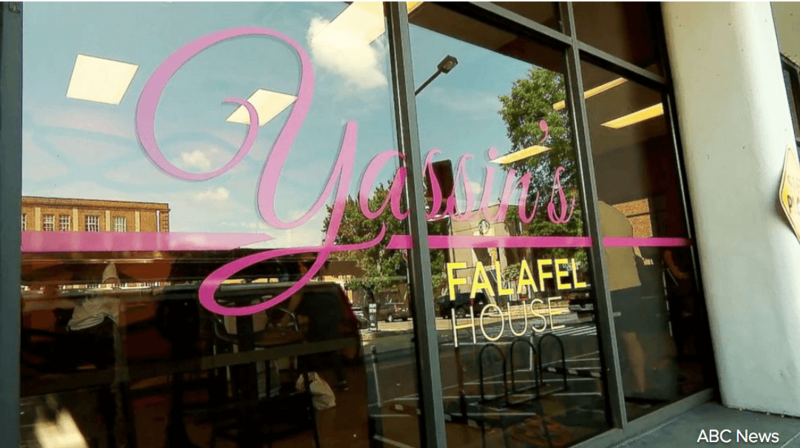 The sign on Terou's restaurants says, ""All sizes, all colors, all ages, all sexes, all cultures, all religions, all types, all beliefs, all people, safe here at Yassin’s Falafel House." He champions his restaurants on being accepting, welcoming, and an all around warm place to be. Terou fled his home country of Syria seven years ago. Now, he feels he "had a second chance of life to be in United States." But that doesn't mean it was easy when Terou first arrived in the United States. His english wasn't great, and people were not always kind to him. "When you love and give your love to people, you are stronger than one who gives hate," Terou said on Good Morning America. Terou's shop also employs refugees. 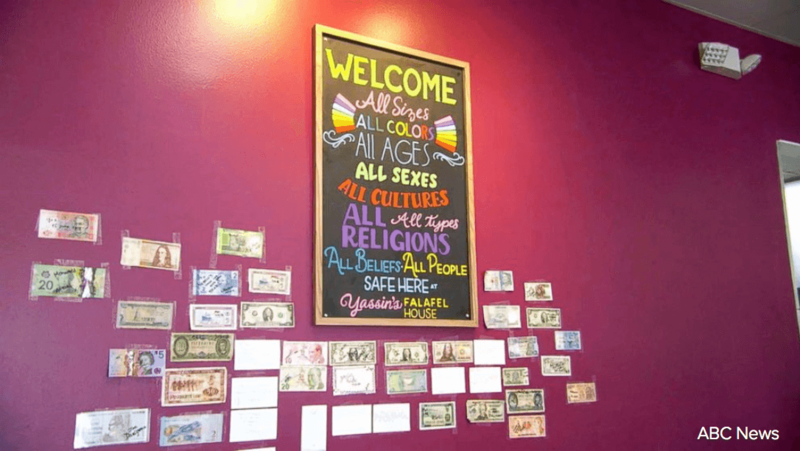 Knoxville Mayor Madeline Rogero said she believes Terou has "really torn down people's perceptions" of "refugees, of Muslims," in the "heart of Appalachia." In regards to the current climate in America, Terou said that "We need to keep building bridges, we need to keep the American dream. This is in our hands," he added. "And we need to transfer it in a better situation for the next generation."